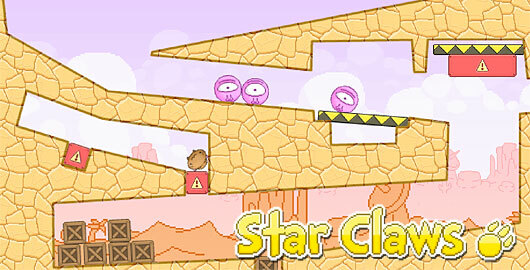 Star Claws is a 32 level physics-based puzzler from Jimp and LongAnimals where you will have to defend Earth from Aliens using cats, yes, cats! Just click stuff to remove them or use them. Same, its driving me crazy…. Its too bad though, I wanted to finish the game. Posted on Friday, November 25th, 2011. Follow any responses through the RSS 2.0 feed.